Following hot on the heals of Rock Band, another of the biggest music games for this holiday season- DJ Hero's full list of cuts is available for your perusal. I'm not the biggest fan of the whole DJ 'thing' but this looks to be a very solid list with a lot of the artists you'd expect and some very catchy beats to spin. 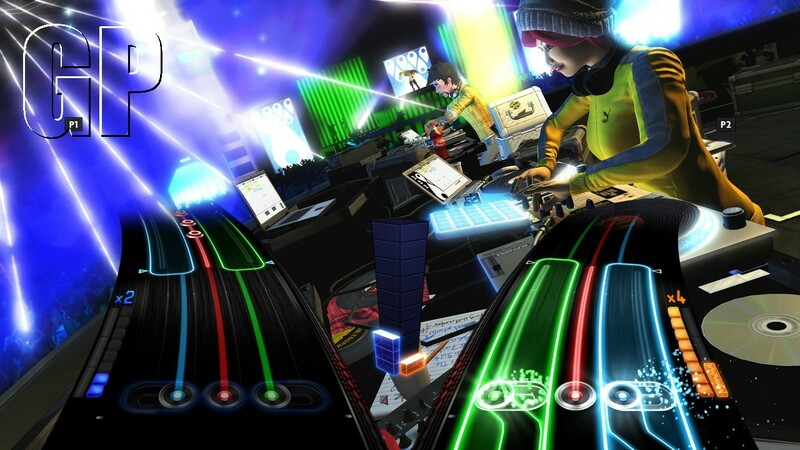 When the party starts on 22nd October, budding beat chemists, singing sensations and all of their friends will experience over 100 of the biggest tracks from the hottest artists, remixed exclusively for DJ Hero® 2, including Eminem’s “Not Afraid,” Lady Gaga’s “Bad Romance,” David Guetta’s “Memories” feat. Kid Cudi, Lil’ Wayne’s “Lollipop” feat. Static Major, and Dizzee Rascal & Armand Van Helden’s “Bonkers,” Activision Publishing, Inc. (Nasdaq: ATVI) announced today. Cranking up the soundtrack to “the most innovative and immersive music experience of 2009”*, the full list of 105 speaker-blaring tracks and club-shaking anthems that will be transformed into over 80 unique mixes for DJ Hero 2 reads like a who’s who of music industry giants. With all the songs now revealed, DJ Hero 2 has launched the ”Name That Mix” challenge on the DJ Hero® Facebook page, testing fans knowledge of music to discover the game’s tightly held and eagerly anticipated mixes. Every week from now until 21st September, fans will be presented with a “mashup of mashups” video from which participants will need to decipher what songs were used to create each mix. Over 275 prizes are available weekly including trips to see DJ Hero 2 artists perform live and professional DJ equipment. To participate in the challenge or for more information, visit http://facebook.com/djhero. The ultimate mixer of music and friends, DJ Hero 2 will deliver the definitive way for players to come together and party with a host of new multiplayer modes – including DJ Battles that pit DJ against DJ in mixes produced specifically for battle gameplay – and invite vocalists into the spotlight with integrated on-screen singing and rapping of lyrics and rhymes while bringing the party to life with jump-in/jump-out Party Play gameplay. Featuring the biggest dance, pop and hip-hop hits by the hottest artists everyone knows and loves remixed by world-class DJ’s in an all-new way, the game’s soundtrack delivers over 80 unique creations only available in DJ Hero 2. Further immersing players into the music, the game offers a heightened level of creative input and allows everyone to add their own touch, directly impacting the beats they’re spinning with freestyle scratching, crossfading and sampling. The game will also feature an all-new career-based Empire Mode where players start out as an up-and-coming DJ on the road to becoming the head of a major entertainment empire, all of which is founded solely on their success as a DJ.